Only information that has been reviewed and cleared for dissemination will be published on theLo Kahi Kenpo/Kempo Association of America official pages. Kenpo/Kempo Lõ Kahi Association of America makes no representations or warranties, express or implied, with respect to the document, or any part thereof, including any warrantees of title, noninfringement of copyright or patent rights of others, merchantability, or fitness or suitability for any purpose. 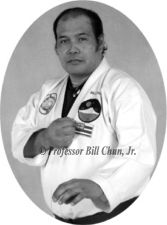 These pages are expected to represent the Kenpo/Kempo Lõ Kahi Association of America in a professional manner in accordance with the Kenpo/Kempo Lõ Kahi Association of America Web Policy, Web Publication Guidelines, and Computer Use Guidelines. Copyright. The content, organization, graphics, design, compilation, magnetic translation, digital conversion and other matters related to the Site are protected under applicable copyrights, trademarks, patents, and other proprietary (including but not limited to intellectual property) rights. The commercial copying, redistribution, use or publication by you of any such matters or any part of the Site is strictly prohibited. You do not acquire ownership rights to any content, document or other materials viewed through the Site. The posting of information or materials on the Site does not constitute a waiver of any right in such information and materials. All Web sites and electronic publications must follow the Kenpo/Kempo Lõ Kahi Association of America legal standards regarding copyright. In general, Web publishers must secure permission from the owner of the copyright, Master Bill Chun, Jr., when including copyrighted or trademarked material, such as text, photographs, audio, video, graphics, maps, or logos, and include a permission statement or disclaimer as required by the owner of the copyright or trademark. Provisions of fair use can allow restricted use of copyrighted materials without permission of the copyright holder. For more information on copyright, see the U.S. Copyright Office Web site at www.copyright.gov. Trademarks. Any mark, logo, symbol, nickname, letter(s), word(s) or combination of these that can be associated with the Kenpo/Kempo Lõ Kahi Association of America qualifies as a trademark. Kenpo/Kempo Lõ Kahi Association of America, LKKAA, the phrase ‘Uniting our Past with our Future’, as well as many building facades are either trademarks or registered trademarks of the Kenpo/Kempo Lõ Kahi Association of America. Other product and company names mentioned on the Site may be trademarks of their respective owners. Information on Site. The Site contains information that pertains to the system Go Shin Jitsu Kenpo/Chinese Kempo Kai and the Kenpo/Kempo Lõ Kahi Association of America. We cannot and do not warrant that the information on the site is absolutely current, although every effort is made to ensure that it is kept as current as possible. Individual Web sites have modification dates that can be used as guides to the timeliness of the data; however, we cannot warrant that no changes have been made to the source information since that date. Similarly, We cannot and do not warrant the accuracy of these documents beyond the source documents, although we do make every attempt to work from authoritative sources. Responsibility for Content. Webmasters and Sensees, or respective designees of the Kenpo/Kempo Lõ Kahi Association of America are responsible for reviewing, clearing, and maintaining information posted on the Kenpo/Kempo Lõ Kahi Association of America site. The site developer is ultimately responsible for the accuracy of page information. Information on theKenpo/Kempo Lõ Kahi Association of America website must be both accurate and current, and represent the Kenpo/Kempo Lõ Kahi Association of America and Go Shin Jitsu Kenpo/Chinese Kempo Kai in a professional manner. Kenpo/Kempo Lõ Kahi Association of America Web developers are responsible for following school policies and local, state, and federal laws. Indemnification. You agree to indemnify, defend, and hold the Kenpo/Kempo Lõ Kahi Association of America, and our partners, officers, directors, attorneys, staff, employees and affiliates (collectively, “Affiliated Parties”) harmless from any liability, loss, claim and expense, including reasonable attorneys' fees, related to your violation of this Agreement or use of the Site. Third-Party Services. We may allow access to or advertise third-party merchant sites (“Merchants”) from which you may purchase certain goods or services. You understand that we do not operate or control the products or services offered by Merchants, whether or not they are direct employees of the Kenpo/Kempo Lõ Kahi Association of America. Merchants are responsible for all aspects of order processing, fulfillment, billing and customer service. We are not a party to the transactions entered into between you and Merchants. You agree that use of such Merchants is AT YOUR SOLE RISK AND IS WITHOUT WARRANTIES OF ANY KIND BY US, EXPRESSED, IMPLIED OR OTHERWISE INCLUDING WARRANTIES OF TITLE, FITNESS FOR PURPOSE, MERCHANTABILITY OR NONINFRINGEMENT. UNDER NO CIRCUMSTANCES ARE WE LIABLE FOR ANY DAMAGES ARISING FROM THE TRANSACTIONS BETWEEN YOU AND MERCHANTS OR FOR ANY INFORMATION APPEARING ON MERCHANT SITES OR ANY OTHER SITE LINKED TO OUR SITE. Information and News Releases. The Site contains information and news releases about us, the Kenpo/Kempo Lõ Kahi Association of America, and Go Shin Jitsu Kenpo/Chinese Kempo Kai. While this information was believed to be accurate as of the date prepared, we disclaim any duty or obligation to update this information or any news releases. Information about companies or organizations other than ours contained in the news release or otherwise, should not be relied upon as being provided or endorsed by us.